As part of our strategic commissioning programme, the National Portrait Gallery has been working with Sheffield Museums & Galleries Trust on The Diary Room: Characters from the 17th Century. 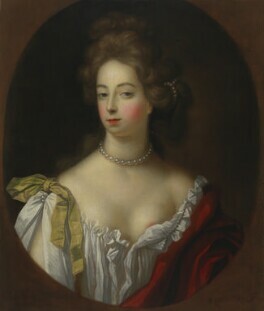 Three portraits from the National Portrait Gallery Collection of 17th century characters - diarist Samuel Pepys, actress and royal mistress Nell Gwyn and artist Mary Beale, are on display alongside Sheffield Museums & Galleries collection as part of an exhibition examining 17th century society. The learning programme has included young people from Tapton School and Wybourne Youth Trust working with Sheffield Galleries & Museums Trust to create added interpretation for historical portraiture within the Graves Art Gallery. The young people gained inspiration for the project by visiting the interpretative displays at Beningbrough Hall, one of the National Portrait Gallery's three regional partners. Working with the portraits on loan from the National Portrait Gallery as well as works within Sheffield's collection, the young people have developed some innovative ideas to help understand and enjoy historical portraiture. This project has been made possible by support from DCMS/DCSF Strategic Commissioning National/Regional Museums Education Partnerships Programme.